As of January 2019, a new collaboration has started between Terra Drone and AeroGeosurvey Indonesia through investments in the form of capital and technology. As a result, AeroGeosurvey Indonesia has become part of Terra Drone group and will continue under their new name: Terra Drone Indonesia. Terra Drone will provide Terra Drone Indonesia with latest cutting-edge technologies and will be able to offer more solutions for their customers in Indonesia. "We had discussions with a large number of drone operators in Indonesia, and we were impressed especially with good track record of AeroGeosurvey Indonesia and its professional experiences over the past three years," said Toru Tokushige, CEO of Terra Drone. This made Terra Drone choose AeroGeosurvey Indonesia to be their partner of choice to achieve Terra Drone's vision, which is to be the largest drone service and technology provider in the world. 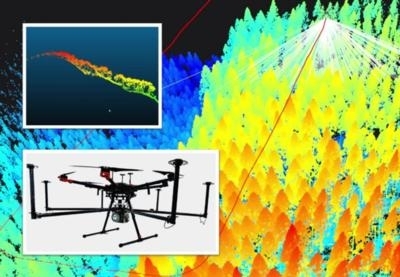 Director of AeroGeosurvey Indonesia, Michael Wishnu Wardana, added, "with this investment, we are capable of providing a higher level of service by utilizing Terra Drone's 3D surveying know-how and latest technology such as their own LiDAR system, Terra LiDAR, which is twice or three times cheaper than conventional UAV LiDAR systems." This is an excellent opportunity for Terra Drone Indonesia to embrace latest technologies including Light Detection and Ranging (LiDAR), artificial intelligence based inspections to customers in Indonesia and Southeast Asia. Terra Drone will continue to generate more cutting edge innovations in drone applications that will have great impact on the market and society. AeroGeosurvey Indonesia will formally change its identity to Terra Drone Indonesia gradually in first quarter in 2019.